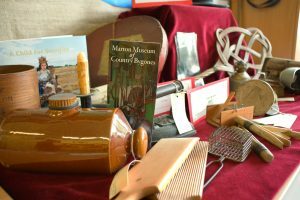 Children from Knightlow School have published a book of short stories and poems inspired by local heritage, including many curious objects from Marton Museum of Country Bygones. Working together as authors and illustrators, pupils aged between 4 and 11 made the pocket-sized book to send to children in some of the poorest regions of the world. 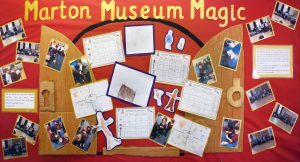 Objects from the museum were loaned to the school to help children use local stories and history as a basis for their creative writing. The results include time travel adventures, unexpected discoveries in old suitcases and even marriage thanks to a dusty hat. The paperback is being sold – at £6 per book – to pay for copies to be gifted to children globally, with an emphasis on sending them to under-resourced schools in developing nations. Appropriately titled ‘Knightlow to the World’, it has already been sent to schools in four continents. This is the fifth year in a row Knightlow pupils have worked with the charity Stories4Schools but is the first time every child in the school has contributed to one book. 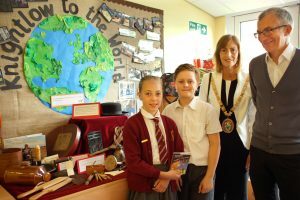 To celebrate this achievement, the whole school organised a special book launch, attended by Cllr Sally Bragg, Mayor of Rugby, and representatives from Marton Museum. Copies of ‘Knightlow to the World’ are available from www.stories4schools.com or from Faye at 13 North Street. Profits from each £6 sale will support the charity’s work to promote reading, creative writing and global education.